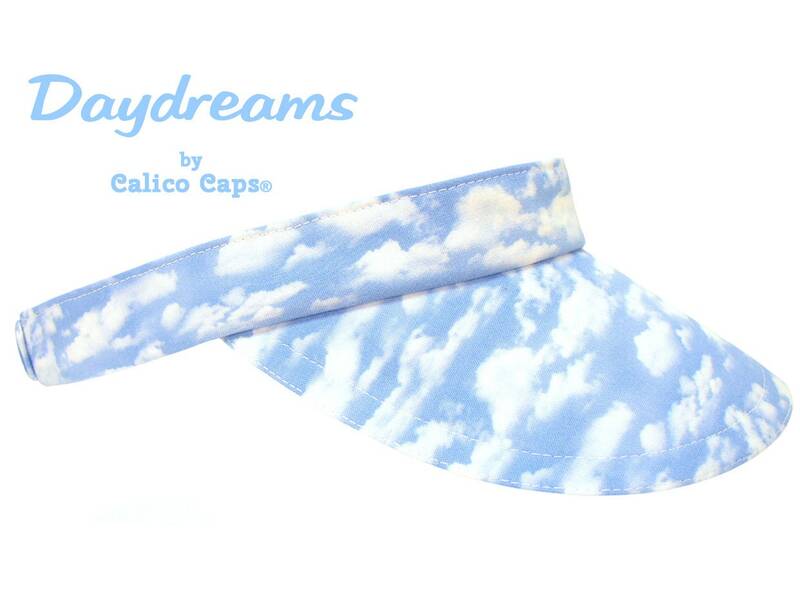 This visor is called "Daydreams" - The perfect summertime color combo. This pretty blue and white visor is perfect for the eternal optimist. Fluffy, white clouds on a pretty, powder blue background. A great complement to your game-day whites. So cute with blue jeans and sneakers. White top-stitching. Matching blue grosgrain lines the entire band.